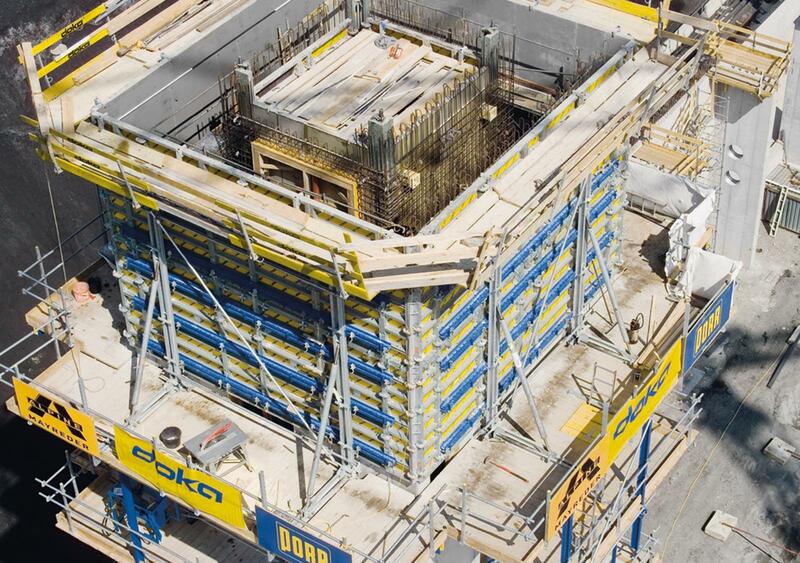 (1) Climbing formwork MF240 – to support the wall formwork, especially on the outside of the building core. The fully enclosed platform system offers plenty of space for fast, safe working. (2) Shaft platform – to support the wall formwork of staircases and lift shafts. Repositioning platform and formwork requires only that the wall formwork is slightly detached from the concrete.